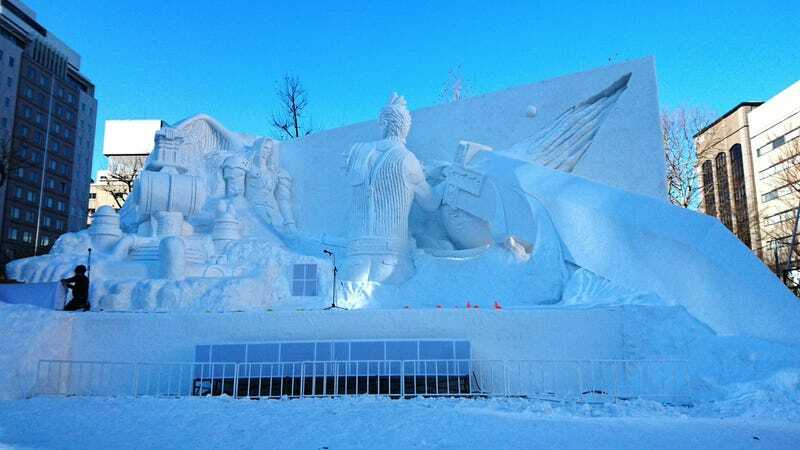 The Sapporo Snow Festival is now underway in Japan’s northern most prefecture Hokkaido. One of this year’s main sculptures is Final Fantasy VII themed, featuring Cloud and Sephiroth. 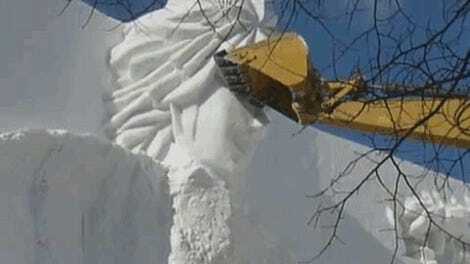 Each year, the Japanese military moves all this snow to make these huge sculptures. Lots of detail if you get closer. This is the best angle to view the sculpture. Why is Cloud’s head so small? According to Famitsu, this was due to the snow’s weight. It was necessary to make his lower back larger so the sculpture won’t collapse. At night, the sculpture is brought to life with projection mapping. There is also an official Square Enix shop nearby.